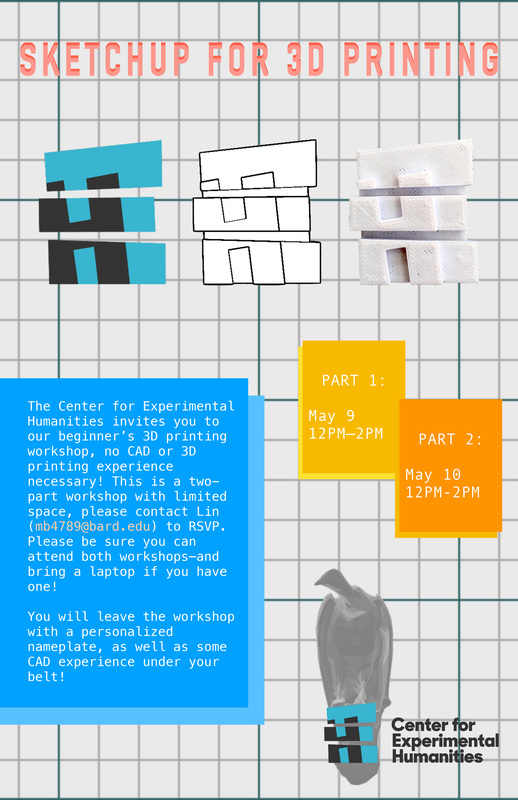 Experimental Humanities 2018 » 3D Printing Workshop! 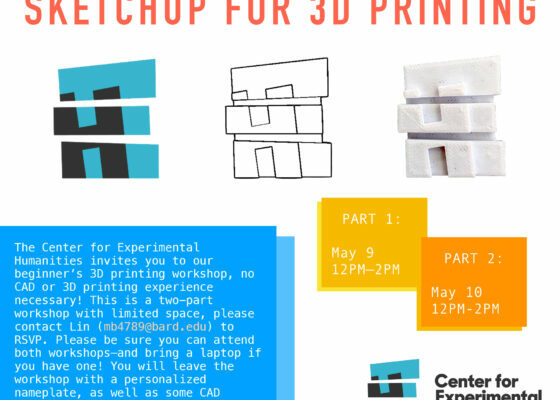 The Center for Experimental Humanities invites you to our beginner’s 3D printing workshop, no CAD or 3D printing experience necessary! This is a two-part workshop with limited space, please contact Lin (mb4789@bard.edu) to RSVP. Please be sure you can attend both workshops—and bring a laptop if you have one! You will leave the workshop with a personalized nameplate, as well as some CAD experience under your belt!